In 2009 MIT began a phased renovation of the building, which occupies a prime campus location across from the main academic buildings, to serve as an undergraduate dormitory. 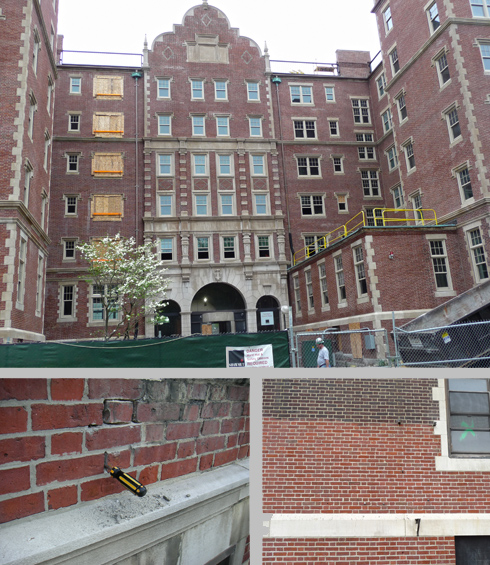 Exterior existing conditions analysis was undertaken and substantial exterior restoration was completed from the spring to fall of 2009. Work involved exterior masonry cleaning, full repointing, window flashing, replacement of cracked limestone including over 1000 units at lintels, window sills and decorative courses. 1960’s replacement windows were replaced with energy efficient windows compatible with the original design.